“You are what you eat!” There are several expressions about eating right that are used all over the world in several different languages and this is definitely one of them. It would also be fair to say that a great number of us have heard it at least once in our lifetime. Understanding food and choosing the right types of foods and snacks to eat during your hunting trip has a direct impact on your mental and physical performance. Years ago as a young infantryman, I would spend several hours and sometimes days exposed to the elements such as snow-covered mountains in the Balkans. We patrolled over great distances all the while conducting very physical and mentally demanding work. Sleep was sometimes only a few hours and when it was time to eat, it was done quickly. This meant you had to eat and drink smart and also take into consideration small factors like the amount of noise you made and also being careful not to leave any traces of food or packaging. My objective as a sport hunter today is not to have such a regimented life style anymore but to continue to make great choices with food and actually take the time needed to eat. I want to have lasting energy throughout the day, so that I can remain focused for a long time. Having a balanced food plan and a list of items you need to buy before going hunting is a process I use during my preparatory stage. This includes high energy foods that are good for you and provide you with the boost and nutrition your body requires to produce heat, feed your brain and muscles. Examples of this are beef jerky, dried fruits, fresh fruits, trail mix nuts. This may also include an emergency food kit like mine such as cans of sardines, spare water canteens and natural multigrain bars. Still-hunting can be physically demanding and you burn a lot of calories moving through the woods especially on snowshoes. If you are sitting in a blind your body will also use up calories producing heat. This means calories being expended. Some points such as not making noise while eating may apply if you are in a blind or tree stand but if you are still hunting, you can choose a nice spot to stop for lunch or go back to the car or truck. This makes it easier to dispose of your garbage and not having to carry it around with you in your daypack along with its scents. In one of the hunting magazines I was a subscriber to: “Chasse et Pêche” one snowshoe hunter and author wrote that during the winter months, he would light a fire during his lunch break just to warm up. This is a great idea but I would check with the park to see fires are permitted. My experience has taught me that if I ate a muffin filled with processed sugar for breakfast at the start point of my day, my energy level would spike as soon as the sugar was absorbed into my bloodstream. As the morning went on however I would feel a crash and just be very tired. This would be an example of poor planning and eating, this could be dangerous if you are out alone in the woods. If you are hungry, your morale will be low and you will eventually become sluggish and tired. This will lead to mistakes being made, your body will weaken and hyperthermia may set in if you are exposed to the cold or wet. I drink a lot of water and stay hydrated; I also carry a bottle of Gatorade for extra carbohydrates and to replenish my electrolytes. The night before I set out to hunt for the day, I normally have a hardy meal containing meats, vegetables, pasta and or rice. I also drink large amounts of water. Moisture is lost through sweating, going to the washroom and even your breath. Fluids are very important for our bodies. Throughout the day, I will have small snacks like dried nuts and bars about every two hours or so and I make sure to drink around the same time. At lunch I have a meal which is normally a sandwich, packaged foods that are not difficult or noisy to open. I also take into consideration the ease to pack and being lightweight, also that it does not leave too much garbage such as wrappings. There are some great references on the web and books that are available to assist you in eating right while hunting. Every person has their own budget and system in place, feel free to suggest or comment on food ideas that can ultimately assist all small game hunters. Many of us have had the privilege of being taught how to read at a very young age and this is without a doubt one of the most prized of skills that is quite often taken for granted. This ability to read allows us to unlock a door and step into a doorway of knowledge, and this know-how is found in books, magazines, pamphlets as well as the World Wide Web. It is also a fact that some people posses’ academic and intellectual strengths that allow them to share and discuss the content of a specific topic that they have just read. This allows them in sort to plug into any conversation and in a sense project the impression that they may have understood or mastered the subject. This can be a definite asset if you are attempting to impress someone during an academic gathering or trying to earn points with your future father in law, but I believe in the realm of sport hunting it is only the tip of the iceberg. If you can read a book about bush craft and or hunting and then apply the knowledge in a practical way then you are truly gifted. The people who are able to share this knowledge take great pleasure in doing so, and having the ability to read, learn, and practice then share this knowledge with others using an applied method as well as harvesting wild game is what I consider the true achievement. There is also another element to this skill called reading and it is not just about going through the pages but rather reading your environment and this my fellow hunters can teach you things that so-called human masters cannot. One of my favourite quotes written by Saint Bernard de Clairvaux a knight Templar from the 12th century is the following: “Trust one who has tried it, you will find more in woods than in books; trees and stones will teach you what you can never learn from masters”. This is so true, but thanks to some brilliant authors who wrote books about hunting and bush craft with publishing dates ranging from the 1960’s to the 1980’s, we are able to enjoy the wealth of knowledge from both the written and the practical world. On my OKB page you will find a listing of some of the books that I have read about our sport and related topics. My findings have been that it is very difficult to find a great recent hunting book, that have been written in the last five years that contains the same wealth of knowledge and substance that you would find in books that were written throughout the years of the publishing dates mentioned above. There is so much to learn and there is so much more to hunting than meets the reading eye. 1. Combine 1 tablespoon of soy sauce, the five-spice powder, pepper, and salt and rub over the duck pieces. Place 2 1/2 tablespoons of vegetable oil in a flameproof casserole, add the duck pieces and cook until browned, then transfer to a plate and set aside. 2. Drain the fat from the casserole and wipe out. Add the sesame oil and remaining vegetable oil and heat. Add the ginger root and garlic and cook for a few seconds. Add the sliced white scallions and cook for a few more seconds. Return the duck to the casserole. Add the rice wine, oyster sauce, start anise, peppercorns, and remaining soy sauce. Pour in enough stock to just cover the duck. Bring to a boil, cover, and let simmer gently for 1 11/2 hours, adding more stock if necessary. 3. Drain the mushrooms and squeeze dry. 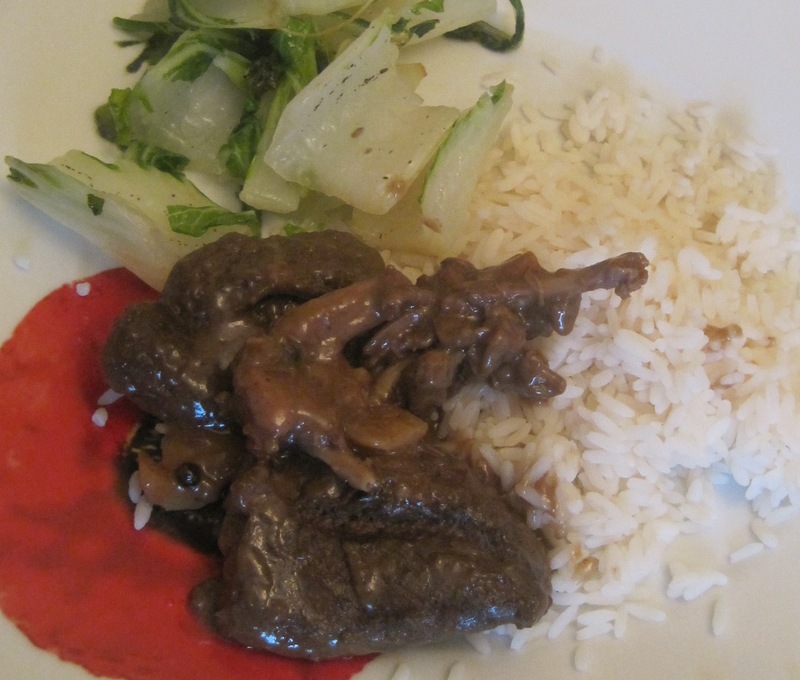 Slice the caps; add to the duck with the water chestnuts, and let simmer for an additional 20 minutes. 4. Mix the cornstarch with 2 tablespoons of the cooking liquid to form a paste. Add to the remaining liquid, stirring, until thickened. To serve, garnish with green scallion shreds. Designed by Terry Jeavons & Company. Perfect Chinese.Parragon Books Ltd 2007. When people speak of the taiga, they generally refer to the boreal forests found in the northern regions of our globe. The fact remains that it is the same forests that are also found in the southern regions of North America and Eurasia and this boreal forest wraps itself around the globe like a northern belt. In the Americas it starts in northern Canada and spans almost all the way to the United States border and some experts believe it is around one thousand kilometers wide. This global belt is the home of thousands of species of bugs, birds, mammals and all kinds of micro organisms. Firstly to the natives it was their home and to the early explorers it was an unforgiving land full of riches. To the modern scientists who work with universities and various organizations or even the government it is an endless encyclopedia of knowledge. As a hunter this vast expanse is a source of adventure, challenge, discovery and constant learning. At first glance the forest may give you the impression that it could be a nice place for hiking and camping but it can also be quite dark and intimidating to someone who is unfamiliar with this biome. This is why with the use of education and awareness; conservation should become the ultimate goal. This way the forest can remain one of the most beautiful places on earth. Through your eyes you can transform it into a more comfortable environment, then in a sense it becomes familiar ground, which is no longer dark and gloomy when you see it for the first time. 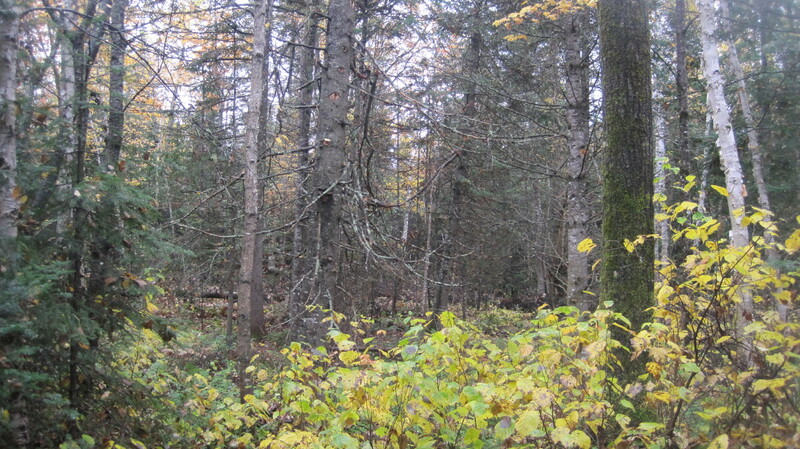 I can still remember my first time during a compass and orienteering course, as we stood on the edge of the boreal forest with my peers and we all stared at this dark wall of trees and it was so mysterious and frightening yet we were about to take a plunge into its depths to test our skills. What intrigues me is this silent attraction that the boreal forest possesses over us. Is it the splendor of the fall colors or is there more to this mystical attraction? What is it that attracts people who have experienced traumatic events, adventure types or even hunters? This forest is very alive indeed and it does possess mystical forces*. This draws visitors for various therapeutic or even adventurous reasons and for us hunters, I know that it is more than just the harvest it is the whole experience of being in the elements at least for me it is.